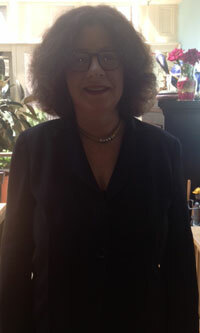 Rosalind Resnick, a former business and computer journalist who built her Internet marketing company, NetCreations, Inc., from a two-person home-based startup to a public company that generated $58 million in sales, co-founded NetCreations in March 1995 and served as the company’s CEO and President until December 2001. Together with her partner, Ryan Scott Druckenmiller, she pioneered the concept of 100% Opt-In® email marketing in 1996 and spearheaded the company’s successful IPO in 1999. Resnick also hosted America Online’s NetGirl Forum, one of the Internet’s most popular online dating services, from 1995 to 1996. In 1994, Resnick co-authored The Internet Business Guide and, from 1994 to 1997, served as the editor and publisher of Interactive Publishing Alert, a semi-monthly newsletter tracking trends and developments in online publishing and advertising. Resnick began her career in the newspaper industry in 1980 at The Baltimore Sun and worked as a business writer at The Miami Herald from 1984 to 1989. Her articles about entrepreneurship and small business have appeared in Entrepreneur.com, and Resnick has been a guest lecturer at Harvard, NYU and Pace University business schools. Resnick received B.A. and M.A. degrees in History from The Johns Hopkins University in 1981 and lives in New York City’s West Village. Resnick is a lifelong Girl Scout and a former board member of the Red Cross of Greater New York, Johns Hopkins University (undergraduate advisory board), and Do Something, Inc., a New York-based not-for-profit organization that empowers young people to change their world.